Facebook didn’t unveil a phone, social network, or social device at their press conference yesterday. Sadly, we sort of knew this wasn’t coming. Facebook has never been a hardware company and they still seem compelled by social software. The Graph Search is the next feature for the social network. Currently, the graph will only be available in U.S English and we aren’t sure when it will come out of Beta mode. What the Graph Search intends to do is view all things on Facebook that you, your friends or your friends of friends may have posted. The search runs like a normal search would, it picks up keywords and shows you the most relevant data available. With Facebook being a social company, this relevant data is: people, places, photos or other content that’s been shared on Facebook. The Graph Search can be specific or general, and you will get the closest results depending on how specific you are. An example of a Graph Search could be ‘friends who like the same music I do’, ‘friends of friends that have been to France’, ‘photos of me before 2005’. The social networks uses the keywords embedded in the sentence to give you results. 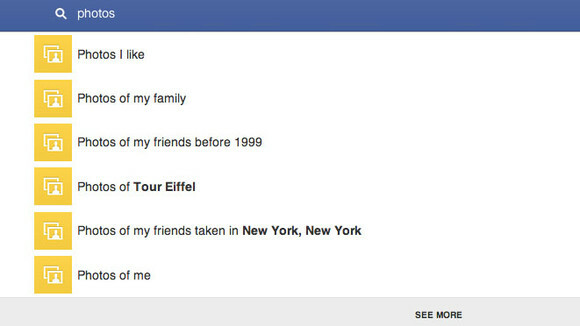 Right now, the Graph Search only works with Facebook. If people share their location on Foursquare, take a photo on Instagram, listen to a song on Spotify or take a photo of some food on Foodspotting, we don’t think Facebook will curate this information. Facebook are hoping to add this into Graph Search. Facebook wants to make better connections between users. This is their first feature to do this, we suspect there will be more as the social network grows its “graph”.